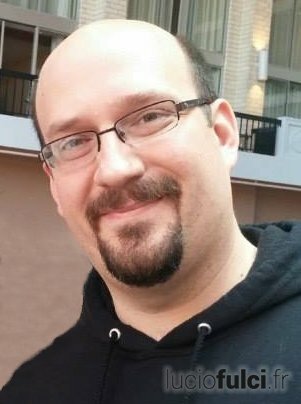 Troy Howarth is a passionate film fan ; he loves sharing his passion with others and you can feel it in his writings. 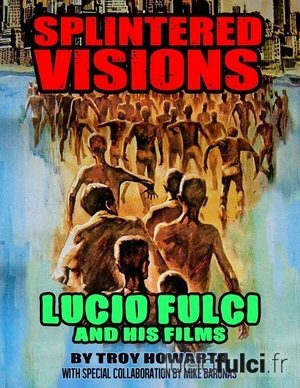 Having already published books on Mario Bava, Giallo films and horror films of the 30’s (with Chris Workman), he will publish a book about Lucio Fulci entitled Splintered Visions : Lucio Fulci and His films. It will be released sometime around August, this year. First, do you remember the first time you watched a film by Lucio Fulci ? Where and when was it ? What was the movie ? My first Fulci was The Black Cat. The USA network used to air a bunch of Italian and European imports on Saturdays and this was where I first saw it – cut and very badly panned and scanned. I remember all those intense eye closeups were « squeezed » to fit the frame and I had no idea why this was at the time. I didn’t understand the concept of « widescreen » at that time, you see. After that, I think I saw The House by the Cemetery on VHS and then Zombie. They were far gorier than the films I was used to watching, but the definitely made an impression ! I didn’t become aware of Fulci by name until years later, however. He was very badly written off in books like The Encyclopedia of Horror Movies as a sort of derivative hack. I accepted that viewpoint for years because that seemed to be the conventional wisdom. How was discovering his whole body of work in the USA despite censorship or some films that remain unreleased ? Well, it took time and effort. I think the first Fulci film I made a point of tracking down was The Beyond – I had read an article about it in Fangoria magazine and decided I wanted to see it. Then later, when I started to really delve into Bava and Argento, I decided to give Fulci another try. It took one viewing of Zombie in widescreen to convince me that he was a skilled filmmaker. From there, I sought out more of his films. It wasn’t until I started to work on my book that I decided to get hold of ALL of his films, including the ones he worked on as a screenwriter, however. Fortunately most of these films are available with English options of some kind by now, but I also had the benefit of an Italian contact who could translate subtitles that were lost on me because of the language. That was a great help. As it happens, Lucio Fulci shot a lot of comedies. What is your favorite one ? I think The Eroticist is a forgotten gem. It’s a very acerbic political piece and it encountered a lot of problems in Italy for this reason. The jokes about the Christian Democrat party were, of course, lost outside of Italy and it didn’t get a great distribution. Lando Buzzanca is wonderful in it and it’s very stylishly shot. Fulci’s Franco and Ciccio comedies are much better than most of the other films they made, I have to say. They have real pace and energy, whereas some of the other films – even the one they did with Bava, which was a hopelessly compromised project from the start – feel much more sluggish. Even The New York Ripper is not beloved by all ; it’s a very complex and misunderstood movie. I found something to like in most of his films, but not all, of course. I think The Devil’s Honey, a sadomasochistic melodrama, is one of his best films. Among his very last films, I really like Voices from Beyond, House of Clocks and Cat in the Brain, though the latter is admittedly a bit of a mess. You wrote Splintered Visions « with special collaboration by Mike Baronas ». Can you introduce him and tell what he did on this project ? Simply put, this book would not be what it is without Mike’s involvement. Mike is a fellow Fulci fan who has interviewed just about everybody imaginable connected to Fulci. He had planned to do a book himself but for reasons best not for me to go into, that fell through and all of his hard work sat gathering dust. He did, however, put out a DVD tribute to Fulci called Paura : Lucio Fulci Remembered. It contains interview snippets with so many people who worked with or knew Lucio and it presents a complex portrait of a complex man. I contacted Mike to ask permission to use interview quotes from the DVD and he readily agreed ; then he put me in touch with all these actors and technicians whom I was able to interview for the book. He also gave me the interviews he had had left over in his file. All told there are about 25 interviews here – including several you conducted for your wonderful website, which you were kind enough to allow me to use. Mike’s help has been invaluable : he is a good friend and a tireless crusader on all things Fulci. He also provided the bulk of the images in the book. Funnily enough, my publisher suggested an Argento book, but I felt that he had already been covered very well in print. I really like Maitland McDonagh’s Broken Mirrors, Broken Minds, for example, and Alan Jones’ book also has its merits. Most of the other books are not to my taste, however. With Fulci, there isn’t much out there in English. I liked Stephen Thrower’s Beyond Terror, but it didn’t go into much depth with his early work and it didn’t go into much of the man himself ; I’m not criticizing his book, however, as it was not intended to be a biography. I just thought that there was room for a more comprehensive book on Fulci in English, so I told my publisher that I would rather do Fulci now and maybe do an Argento book some other time. As it happens, now that the Fulci is finished, my next filmmaker topics will be John Carpenter and then Roman Polanski. You mentioned that Dario Argento had already been covered very well in print in English contrary to Fulci. How do you explain that ? I think that Argento is just barely « mainstream » enough that he’s got some critical respectability. Even if people don’t like his films, they recognize his flair as a stylist. Suspiria was a big hit here, don’t forget. For years, it was the most requested movie on VHS, if you can believe it. Fulci never attained that level of respectability. Zombie was seen as a rip off of Romero, while his gialli were seen as rip offs of Argento. This is ridiculous, of course. Romero did not invent the zombie genre, and Fulci made gialli before Argento did Bird with the Crystal Plumage. True, Zombie would not exist without the success of Dawn of the Dead, but the two films are very, very different. One of my goals in this book is to show how Fulci may have done « cash-ins » on popular hits, but he always did them HIS way, in his own style. Did you ever met Dario Argento and Lucio Fulci ? Argento ? No. I’d like to – he does seem like a friendly guy. I feel bad that his recent films seem so poor – there used to be such expectations for a new Argento film, now it’s more like one dreads it ! Hopefully he will manage to get a project going at some point that he really believes in. I simply don’t think his heart was in stuff like Sleepless or Giallo or Dracula 3D. I would also have loved to meet Bava and Fulci, of course. I did have some minor contact with Fulci’s daughter Camilla, who gave her blessing to the project. She seems to be a very sweet lady. What did you learn about him as a human being, by writing this book and interviewing people who knew him ? Fulci was a complex man. He came from a broken home, his father was not in the picture and he had a very difficult relationship with his mother which colored his feelings about women. He seems to have been a very brash and acerbic man : he liked to test people. Those people who disliked him seemed to take issue with this. Paolo Malco and Florinda Bolkan started off on the wrong foot with him, but they stood up to him and he respected that ; they became trusted friends and collaborators after that. Fulci could not tolerate incompetence, nor did he appreciate it if an actor gave off an air of not taking the film seriously. He committed himself to what he was doing and expected others to do the same. The funny thing is, he is so known for horror – but he was never really a horror fan, per se. He preferred thrillers, for example, and he was brilliant at them. But his films never caught on so well as Argento’s, so he only worked in the giallo sporadically. I think he was a remarkable artist and a very cultured man who had a very brash and abrasive exterior. He inspired equal parts loyalty and hatred in people. Hopefully this book will give a pretty good overview of this ; I think it does. I’m terribly proud of it.